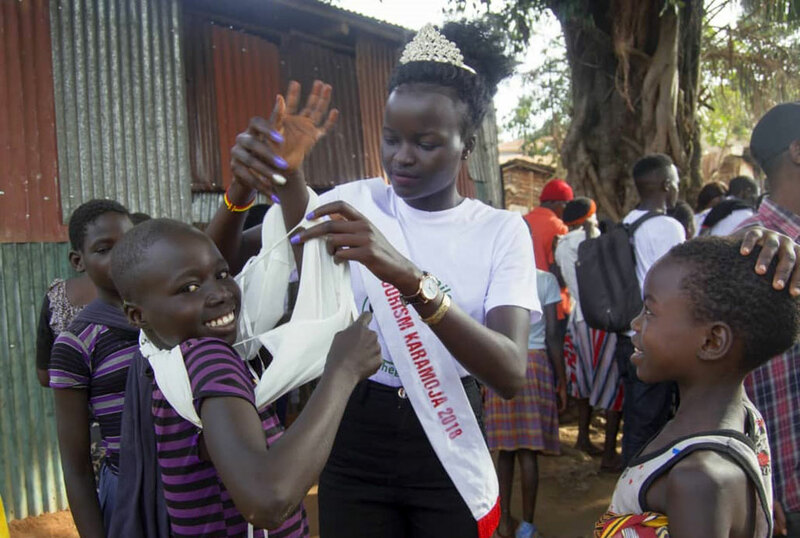 Miss Tourism Karamoja Emily Ayen has really come out to define the saying “Charity begins at home”. Hailing from Karamojong region, Ayen is not pleased by how her fellow brothers and sister are living in the streets of Kampala. What comes to everyone’s mind about a Karamojong in Kampala is the fact that they frequent the streets every day to beg in a bid of making ends meet. 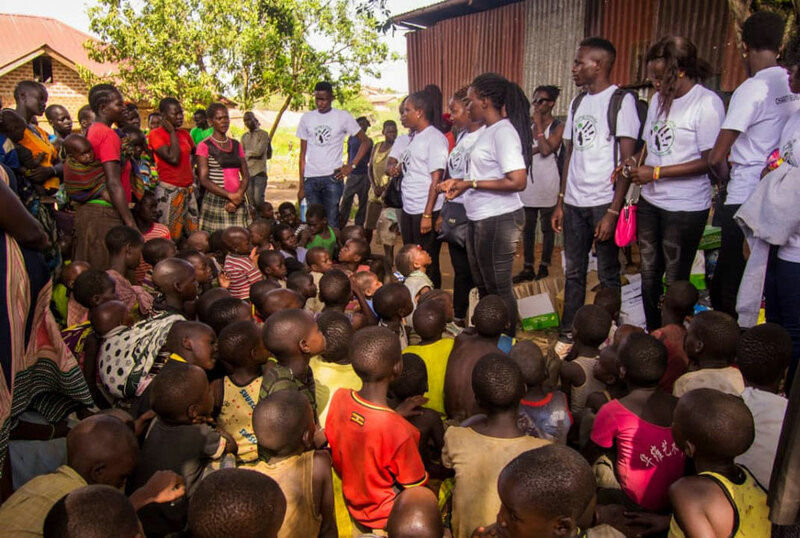 Under her charity organization Bring A Smile, Ayen was this week in Katwe slums in an area where most of the Karamojong in Kampala chose to stay and it is where they wake up to hit the streets of Kampala to beg and come back home to sleep. 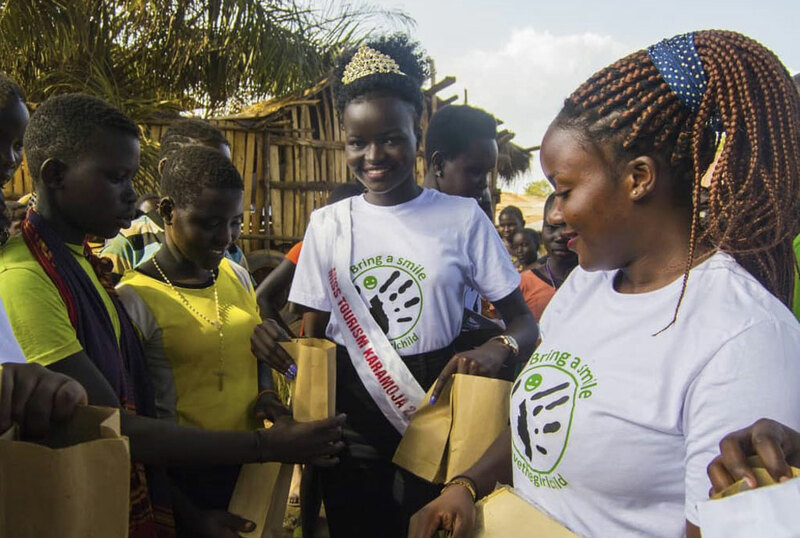 She decided to carry out a charity drive where she gave out sanitary pads, clothing and some food stuffs to the Karamojongs living in the area. According to Ayen, the charity drive was meant to give the Karamojongs hope that they are not abandoned. “The fact that I am from Karamojong and living a better life does not mean that I have not to mind about my fellow Karamojongs struggling in Kampala. She also added that she is going to do whatever she can to see that some of the children who are in Kampala as a result of trafficking are sent back home. She says that most of these children are not happy in Kampala and want to go back to Karamoja to meet their patents and they can only achieve it through her help. Emily Ayen was crowned Miss Tourism Karamoja and Miss Tourism Uganda 1st runner up last year during the grand finale held at Kampala Serena Hotel.